Devi (Chennai, India) on 2 July 2013 in Transportation and Portfolio. Such a sunny shot and great composition!! 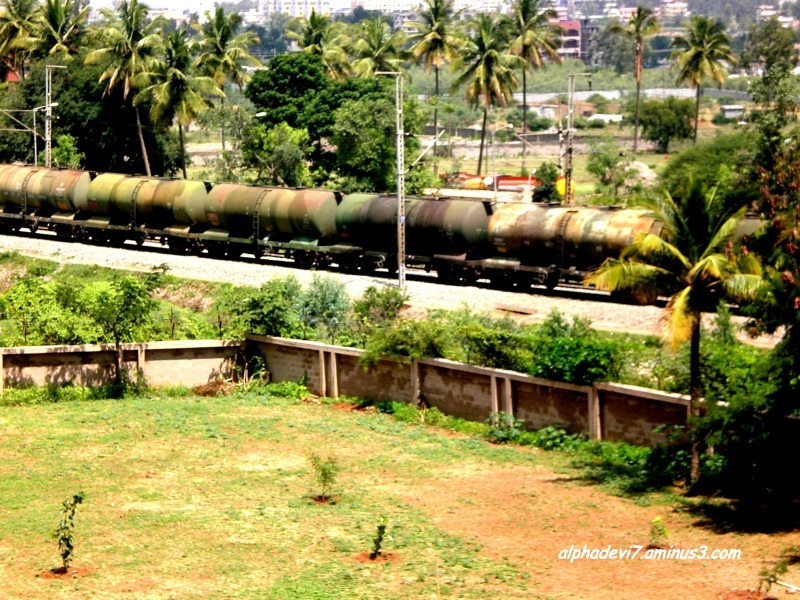 And a lovely scene of the moving goods train with tank loads of petrol. A powerful shot. Excellent. I would be very nervous with car after car, full of gasoline, so close to my hotel room.